Susan D. Carle, Angry Employees: Revisiting Insubordination in Title VII Cases, 10 Harv. L. & Pol’y Rev. 185 (2016). The nature of workplace protests was highlighted this past year by the actions of San Francisco 49ers National Football League quarterback Colin Kaepernick. Kaepernick sparked a national controversy by his actions, in deciding to first sit and then kneel peacefully, during the playing of the national anthem at the start of his games as a mechanism of protest against treatment of black men by the police. Kaepernick’s method of peaceful protest was attacked viciously by members of the public as being unpatriotic and even by a Supreme Court Justice who asserted that Kaepernick’s actions were disrespectful and dumb. Despite claims from his general manager that Kaepernick’s actions justified him not being the quarterback of the team, a position of leadership, and that he had created unrest and unnecessary divisions within the team, Kaepernick’s protests did not end up subjecting him to disciplinary actions. His co-workers even voted to give him an award for courage, which rebutted any suggestion that his actions had divided his teammates. Even in the workplace environment where most individuals know each other or have some knowledge about the other person involved in a dispute, that familiarity does not increase the opportunity for happy results as a response to an employee’s protest, whether made peacefully or angrily. A 2013 Gallup worldwide study of worker feelings indicated that “work is more often a source of frustration than one of fulfillment for nearly 90% of the world’s workers.” As a result, Professor Susan Carle’s recent article, Angry Employees: Revisiting Insubordination in Title VII Cases, offers an important perspective regarding the sources of worker unhappiness and how the law can protect employees when employers overreact to angry employee outbursts. Specifically, Professor Carle criticizes a host of cases involving unsuccessful claims under Title VII where employees have engaged in angry responses to discriminatory treatment. An interesting aspect of Professor Carle’s analysis involves her references to cases where supervisors have uttered racist statements or pursued acts of sexual harassment with impunity. Despite the employer’s discriminatory behavior being the source of the angry response, employees lost these cases because the courts considered their angry responses as insubordination warranting disciplinary action. Professor Carle’s thesis, relying on cases decided by the National Labor Relations Board (NLRB), asserts that angry employee outbursts, when not involving violence or actual threats of violence, should not result in loss of protection under Title VII as insubordination. Instead, Professor Carle suggests that these forms of angry employee behavior, or what she refers to as mild or moderate insubordination, should not automatically preclude an employee’s Title VII claim based on workplace discrimination. The article enlists the NLRB’s Atlantic Steel doctrine to assess the inappropriateness of an employee’s angry outburst by first analyzing four factors before deciding the employee’s actions warrant discipline: “(1) the place of the discussion; (2) the subject matter of the discussion; (3) the nature of the employee’s outburst; and (4) whether the outburst was, in any way, provoked by the employer’s unfair labor practice.” (Pp. 218-19.) Professor Carle also takes great care to point out that the Atlantic Steel doctrine does have limits, as employees who engage in threatening behavior or take acts that exceed what a reasonable employer should tolerate can lose their protections. Accordingly, Professor Carle recognizes that employees may not assert absolute protection from employer discipline when their acts represent insubordination. Professor Carle’s article raises important questions for all of us to consider about the current application of Title VII law. In these cases where an employee’s reason for an angry response started as a reaction to an employer’s discriminatory behavior, either the judiciary has decided to refuse blatantly to acknowledge any valid argument that a claim of insubordination can be pretext, or plaintiffs have been woefully inadequate in persuading courts that purported insubordination can be challenged at least beyond summary judgment by creating a genuine issue of fact regarding pretext. While the analysis generated by Professor Carle does help us understand an unusual phenomenon where employees being subjected to racist statements and sexual harassment may still lose their cases by responding in an insubordinate manner to that discriminatory behavior, I do question why the courts would likely change their analysis to incorporate NLRB doctrine or shift the burden of persuasion to employers to address this problem. With changes expected in the make-up of the Supreme Court and in the focus of federal government agencies under the President Trump administration, it will be an uphill fight to get the courts, agencies, or even Congress to pursue the analytical changes Professor Carle suggests. All of those entities will not likely be seeking an opportunity to expand upon rights and analysis for employee claims under Title VII or shifting the burden to employers in assessing claims. Also, any NLRB doctrines that Professor Carle has relied upon may be subject to reversal as Republican NLRB members, who have objected to the doctrines Professor Carle cites, will be in the majority. However, her analysis does give plaintiffs and their attorneys a framework to start building a strong foundation under existing law to make key pretextual arguments as a response to an employer’s purported justification for its actions as being a response to insubordination. Professor Carle’s analysis and reference to the underlying principles supporting her argument for analytical changes gives those plaintiffs a roadmap to explain how insubordination claims have been wrongly and pretextually asserted against employees who angrily responded to discriminatory treatment by their employers. With the increasing spotlight on viable methods of employee protest to discrimination being highlighted by the Kaepernick situation, employers have been warned that they should be more thoughtful about how they respond. As a result, employers should make sure the workplace is not permeated with discriminatory actions that could lead already unhappy employees into angry outbursts that may be incorrectly deemed insubordination. With the increasing dissatisfaction of employees with their work environments and the heightened desire to protest those working conditions, Professor Carle has achieved an important result by raising awareness regarding discriminatory acts by employers as a possible source of angry outbursts that should be better addressed under Title VII jurisprudence. 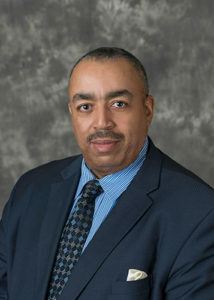 As employers continue to seek methods to create happier work environments resulting in more productive workers, Professor Carle’s article suggests a very important incentive for employers to also make sure they do not rush to judgment in assessing an angry employee outburst as insubordination when it could have resulted as a byproduct of discriminatory actions by supervisors. Cite as: Michael Z. Green, Protecting Unhappy Worker Outbursts from Discriminatory Treatment, JOTWELL (February 15, 2017) (reviewing Susan D. Carle, Angry Employees: Revisiting Insubordination in Title VII Cases, 10 Harv. L. & Pol’y Rev. 185 (2016)), https://worklaw.jotwell.com/protecting-unhappy-worker-outbursts-from-discriminatory-treatment/.